Legal Problems can be overwhelming, especially when the stakes are high. 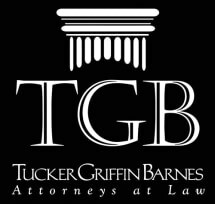 That's why it's imperative you're represented by experienced attorneys. 2. A deep understanding of the law -- Our attorneys concentrate their practice in only one or two areas of the law, which can be a huge advantage when fighting for our clients. 3. A vigorous commitment to lower costs -- We work hard to eliminate all unnecessary costs for our clients. We work especially hard to keep our rates lower than others with the same level of experience and reputation. 4. A dedicated focus on client service -- We're very thankful for the trust our clients place in us. We promptly return phone calls, provide pay areas for the kids, offer free notary public services, provide easy handicapped accessible parking, and when you need us, we'll visit you at home, on the weekend or at the hospital. We want to earn and keep your business.